On March 29, the SITE building was alive with more than 400 engineering and arts students displaying over 80 unique projects as part of the 5th edition of Design Day. Throughout the school year, students in first- and second-year design courses were tasked with creating innovative solutions for real clients facing real problems. Joining the students were 35 judges from various fields, ranging from academia and industry to government, who helped determine the winners. In case you missed it, check out some snapshots from social media that captured some of the excitement from Design Day at the bottom of the page. 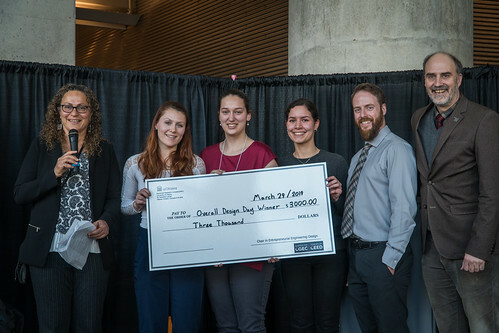 This year, in addition to the winners in each category, an overall Design Day winner was chosen and awarded a prize of $3,000. Congratulations to all participants and winning teams!